We service the Jacksonville International Airport, Shelt Air, Signature Air Center, Craig Air Center, Cecil Field, St. Augustine Regional Air Center, NAS-JAX, Daytona Beach Airport, with services to Orlando International Airport, Sanford Airport, Miami International Airport and Tampa International Airport. You have decided to pamper yourself by hiring someone else to do the driving. There are a lot of variables to consider when you rely on someone else for transportation. Comfort, dependability, and safety are what you want from a company that provides transportation services. At BKCK Transportation Services, we are committed to making sure our clients receive the ultimate in service. You and your transportation needs are our primary focus. Nearly 10 years ago, we decided to start a transportation company in Jacksonville, FL, that would offer first-class special event and executive limousine service. We have continued to grow over the years thanks to our loyal customers and to the hard work we put in to ensure that you enjoy the ride. This includes hiring only the finest drivers and placing them in late-model vehicles that are checked for safety on a regular basis. While you have other choices, we think we're your best choice because we love serving clients and offer the most options. You can depend on us for everything from business and corporate travel to personal travel and sightseeing. Additionally, you receive the dependability you expect from a service provider when you hire us for airport transportation in Jacksonville, FL. From our location, we have the ability to get you to and from areas throughout Florida and Southeast Georgia. Rely on us to arrive at the time you specify, to provide you with a comfortable vehicle, and to transport you in a timely and safe manner. Treat yourself to the top-rated limo services in the area! BKCK Transportation Services is a locally owned, car service company, whose every thought revolves in giving all our clients V.I.P. treatment in Jacksonville, FL. Whether for business or for pleasure, we offer the best transportation services available in our top of the line vehicles and aim to serve you at an affordable price. We make travel easy. From a stress-free airport transfer to a hassle-free limousine service, we provide you with the best. Our transportation company understands how important it is to ensure you travel in comfort, convenience, safety, and style. Need airport transportation at night? No worries. You can call and book our car service for reservations. Our vehicles are available at any time. That’s because we want to make sure that we’re always here to take care of your transportation service needs. Just say the word, and we’ll get you to where you need to go. Our transportation company believes exceptional service doesn’t have to cost an arm and a leg. That’s why we provide shuttle services at varying price points to match your needs and budget. With affordable transportation packages, we make it possible for our clients to enjoy outstanding service at the right price. For us, customer service isn’t just lip service. It’s what we believe in. From ensuring you get to your business meeting on time to waiting for you until your plane lands regardless of flight delays, we’re here to make sure you get the best travel experience possible with our transportation services. We pride ourselves with “We leave no client behind”, regardless if your flight is delayed or rescheduled. Custom satisfaction is our top priority and we offer a wide array of non-smoking chauffeured luxury car service models that include sedans, SUVs, vans, limos, stretch limousines, minibus, and motor coaches. They are all available for airport transfers, hotel transfers, office transfers, business meeting, local transfers, long distance destination travel, and charters. Plus, it is our pleasure to accommodate any and all custom requests that our clients have. We are available 24/7 on a prearranged basis for your transportation service needs. WHAT ABOUT PRICING? Don’t worry. We provide very nice deals and the most competitive prices for you! We also offer limousine rental services for special events. If you’re planning a birthday party, a bachelorette, a wedding reception or even looking for the perfect getaway car, our vehicles fit the bill. If you need a minibus, motor coach, sedan, SUV, van, and more, just check in with us. We’ll have the right transportation package for you. 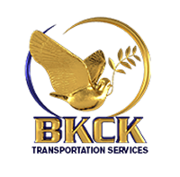 BKCK Transportation Services has you covered for all your transportation service needs. Call to book our services today. BKCK will transport you door to door to airport drop off, or door to the plane side at one of our many Private Aviation Centers, in Northeast Jacksonville. Our transportation company allows you to make the most of your travel time from the moment you leave your home or office to the minute you arrive at your destination. Traveling in style, comfort, and safety, hassle-free with no parking concerns, and upon your return, we will be waiting to transport you safely home with our car service. If you are planning a special event like a bachelor or bachelorette party, wedding reception, bride and groom getaway car, an important gathering of friends or a family reunion, let us do the driving. Enjoy the view, see the sights, and watch the people show until you drop in Jacksonville, the beaches, St. Augustine, or at the Disney Parks and more with our transportation services. Contact our transportation company for comfortable and on-time services when you want someone else to do the driving. We serve Jacksonville, Ponte Vedra Beach, as well as Nocatee, St. Johns, St. Augustine, Atlantic Beach, Jacksonville Beach, Palm Coast, Daytona Beach, Orlando, Deland, Sanford, Gainesville, Tampa, Clearwater, Tallahassee, Destin, Pensacola, and the NAS-JAX Naval Base, FL. I have been using BKCK for 2 years with my employer. Bill and his team are the best in Jacksonville.... plain and simple. We have used them for hundreds of transfers and they are always on time and always reliable. ~ Amanda A.
BKCK is the best. Reliable, on-time and keeps me informed. I just used them to get from the airport to Ponte Vedra Beach. I would highly recommend them. ~ Mike H.